The ultimate training tool for drivers! The Inzane simulator is a state of the art full-motion 3DOF single seater race simulator. It is the ideal training tool for any racing driver to hone their skills in a cost-effective way and add to their level of preparation for that all-important race season. Hone and learn new skills, improve concentration levels and consistency in a totally realistic but safe environment with this simulator, where there are no expensive repair bills or injuries to the driver. Many aspects of a race weekend can be simulated and you can start on a new set of tyres every other lap at no additional cost if you wish to do so. The bottom line is, a successful simulation is about how it looks, feels, and how your brain accepts all the cues provided and interprets them as a complete and realistic experience. The most important cues are motion, sound, feel, seat position and force feedback in the operation of steering wheel, throttle, clutch brake and shifter. The Inzane simulator provides all of the above. 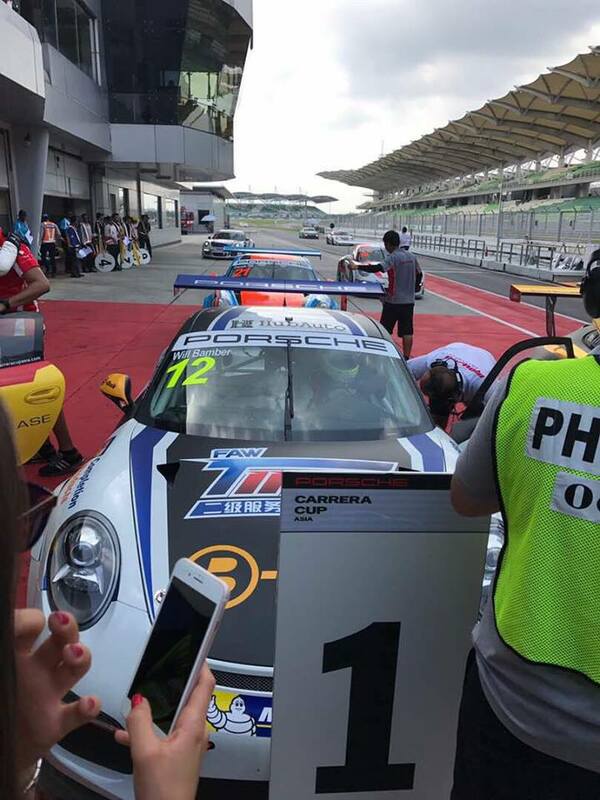 Inzane Racing regular, Will Bamber, brother of two-time Le Mans winner Ea, Earl Bamber recently won Porsche Carrera Cup Asia! Will visits us regularly at BSC to train as well as coach various students to prep for races. If you are keen to custom make a simulator for purchase, read more here. – Members get priority for booking time on the simulator. * Minimum 2 drivers, maximum 3 drivers. For more information, call or email us contact us here.